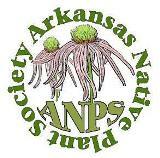 Save these dates for the Arkansas Native Plant Society spring meeting in Bentonville, AR. Details to follow. Planned field trips will visit Hobbs State Park Conservation Area, Chesney Prairie Natural Area, Tanyard Creek and Lake Atalanta.